We recorded at Sun City Studios in San Fernando, CA. We had only released a 45 single before this called, “God Only Knows” on BigTree Records and that led to this album on Atco Records. David Paich arranged a discoesque,“God Only Knows” a Beach Boys hit and at the time these folks were my family and friends. The players on “God Only Knows” were, David Paich, Jeff and Mike Pocaro, Dan Ferguson, Bobby Torres and the Tower of Power horn section. 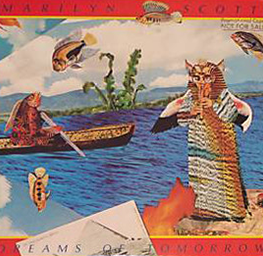 The album, “Dreams of Tomorrow” was on Atco Records and I was so excited to be part of the roster that included Donny Hathaway.